Invisalign has improved over 6 million smiles! The creator of Invisalign, Align Technology, has changed the way the world can achieve a beautiful smile. In fact, they’ve successfully improved over 6 million smiles, including 1.4 million teen smiles. Just think, you could be one of the next individuals to let Invisalign change your smile! Invisalign treatment is the process of wearing a series of removable, clear “aligners,” which are essentially like “trays” that are uniquely designed to gradually straighten teeth. The aligners are made up of a flexible plastic called SmartTrack material engineered exclusively for Invisalign and patient comfort so that the aligners are simpler to put in and remove. The Invisalign aligners are meant to follow a personalized treatment plan created by the orthodontist. An initial evaluation will be performed with a digital scanner in order to map out a treatment plan that will follow a step-by-step transformation of your smile. Once the treatment plan has been created, the aligners will be constructed to fit to your smile. The aligners will be changed out every couple of weeks in which you will also transition into a new set of aligners until the treatment is complete. Treatment length for Invisalign varies on a case-by-case basis, but is typically much quicker than the treatment length for traditional braces. No matter the treatment length, you will end up with a beautiful smile you’ll love and want to show it off to the world! Invisalign and its benefits speak for itself! For starters, patients of all ages can enjoy the benefits of Invisalign because Invisalign and Invisalign Teen are available to our patients at Richmond, Virginia Orthodontics. Additionally, Invisalign is capable of correcting different types of smiles, which include overbites, underbites, crossbites, gap teeth, open bites, and crowded teeth. Since the aligners are clear making them virtually invisible, they make orthodontic treatment much more enjoyable for all ages as opposed to traditional metal braces. Invisalign is removable, meaning that if you can eat, drink, brush and floss without any trouble! Plus this means if you have a busy lifestyle filled with sporting events, family photos, or any special occasions you can easily take your aligners out during these moments. Invisalign is customized to fit to your individual mouth and is precisely cut with fine detail so that the plastic of the aligners do not irritate the gums or cause any discomfort. Invisalign is much more comfortable compared to traditional braces. You may experience tenderness or sensitivity after a new set of Invisalign aligners are inserted, but it won’t feel anything like traditional braces. Invisalign is easy to take care of. Simply, just remove your aligners for cleaning and brush gently with a toothbrush to keep them fresh. How busy is my lifestyle? Do I want others to see my braces? What is my personal goal of orthodontic treatment? Asking yourself these questions can help you to determine which treatment may work best for you. At the end of the day, both Invisalign and traditional braces produce the same result—straighter and healthy smiles! In fact, if you seem to have concerns about a busy lifestyle or others noticing your braces, Invisalign would be a great treatment option for you. Additionally, since Invisalign is designed to successfully transform many different cases of smiles so if straightening your teeth and improving your smile is one of your personal goals, Invisalign is a great option to consider! 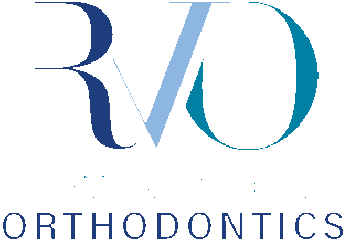 As a patient of Richmond, Virginia Orthodontics, it is our number one goal to make you feel comfortable during orthodontic treatment and feel valued during each visit with us. If you think that Invisalign may be something that you are interested in, we would love to schedule you for your initial evaluation and get you started on your Invisalign journey. Please contact us as soon as possible so that we may have the pleasure of scheduling you today!